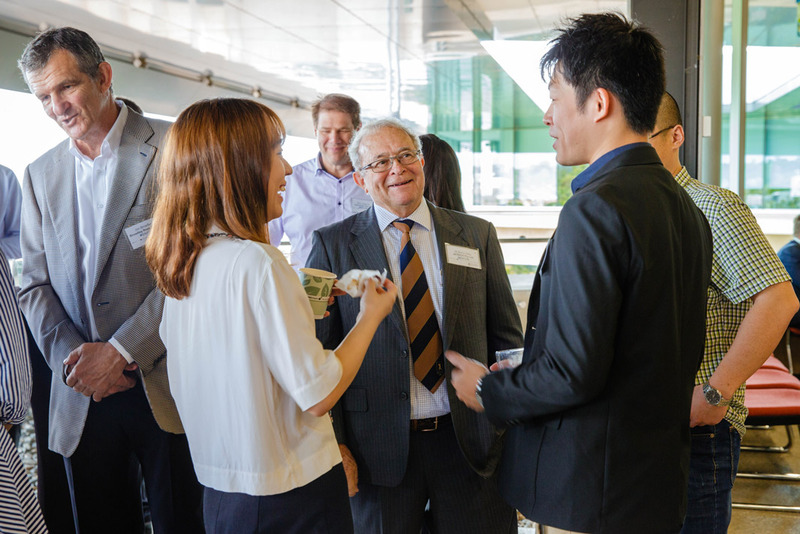 Shark Tank mentor, investor and entrepreneur Dr Glen Richards inspired students and their industry mentors to keep swimming at The University of Queensland’s BEL Career Mentoring Program networking breakfast. 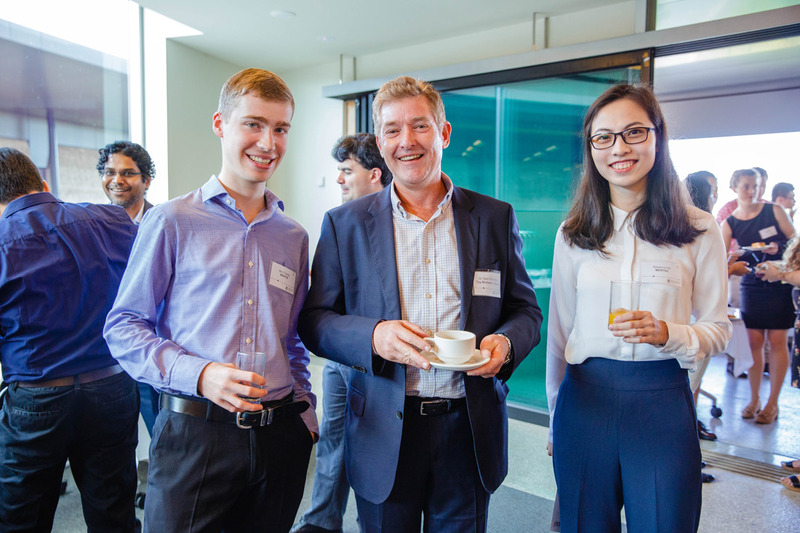 Over 160 mentors and student mentees from the program – an initiative of the Faculty of Business, Economics and Law’s Student Employability Team – came together to network and hear personal and career insights from Dr Richards. Dr Richards is the founding managing director of Greencross, Australasia’s biggest consumer-facing pet care company. Aside from his Shark Tank duties, Dr Richards is also on the board of Greencross and several ASX-listed companies. He mentors many other budding businesses, including his Shark Tank investments. As a UQ alumnus, Dr Richards said being guided by his UQ professors and peers sparked his future interest in mentoring. “We’re very fortunate that UQ takes seriously their role in the development of the next generation,” Dr Richards said. Dr Richards said mentoring – both as a mentor and mentee – had opened many doors in his career. “I look at the difference it makes in your journey, be it life or business, when you have really wise people as part of your conversations,” he said. “The older I get, the more I realise how important it is. They’re always two-way conversations and I’m growing and developing myself while I‘m developing someone else on their journey. Dr Richards had several top tips for students searching for career guidance. “With modern medical science, you’re going to live to be 100 so you need to be passionate about something,” he said. “Go hard in that direction until you bump into the next thing you’re passionate about. According to Dr Richards, students who are determined to succeed should also make time for “structured thinking". “Because life is so chaotic, it’s important that we stop and reset ourselves and our goals every three months, six months, 12 months,” he said. “Think about where you’re trying to get to this year and in the next five years. Spend some time writing down the goals you’re trying to achieve, be it in your health, your wealth, your career, your family or your friendships. Dr Richards said he would encourage other alumni to give back and support initiatives like the BEL Career Mentoring Program. “For students to have access to a formal mentoring program like BEL’s is really exciting,” he said. “They’re going to learn things at university but they may not know where to apply them, or the best way to apply them. “That’s where mentors can help them make decisions about how to use their knowledge. Cate Clifford, Employability Specialist – Mentoring for the BEL Student Employability Team, said she was delighted to welcome Dr Richards back to UQ. “I’m very grateful that Dr Richards was so willing to meet with and motivate our mentees and mentors with his career journey and ‘4Ps’ – planning, people, patience and passion,” Ms Clifford said. Learn more about the BEL Career Mentoring Program.